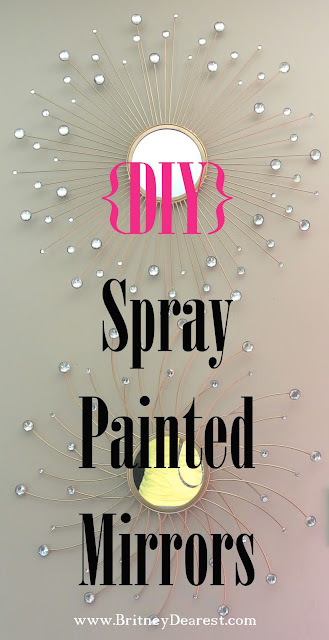 Britney Dearest: When Boredom Strikes, Bring Out the Spray Paint! When Boredom Strikes, Bring Out the Spray Paint! 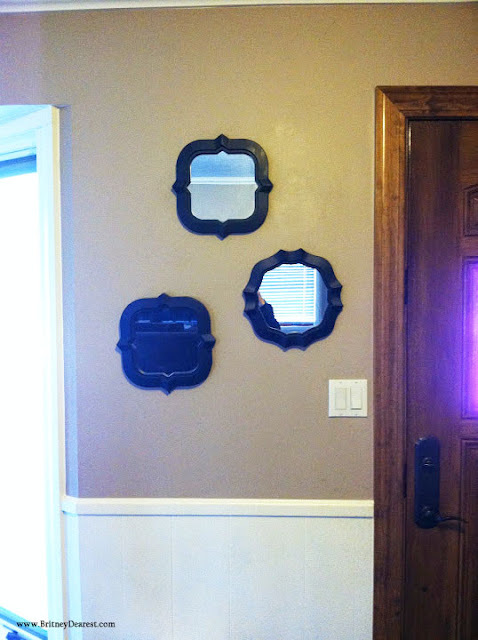 This first set of mirrors I painted back in January. I think my mom has had them since I was in high school. She was planning on giving them to the Goodwill. I took them instead. 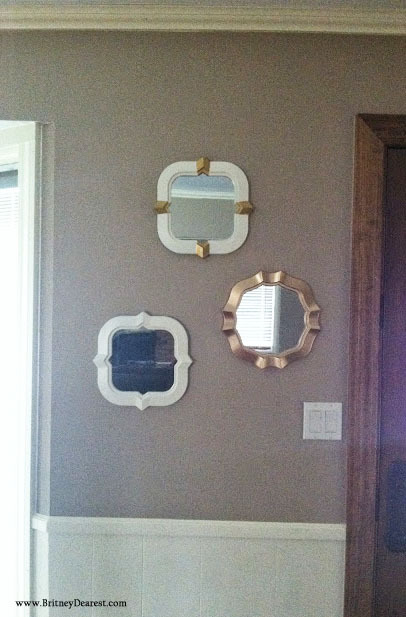 Those mirrors no longer reside on this wall. 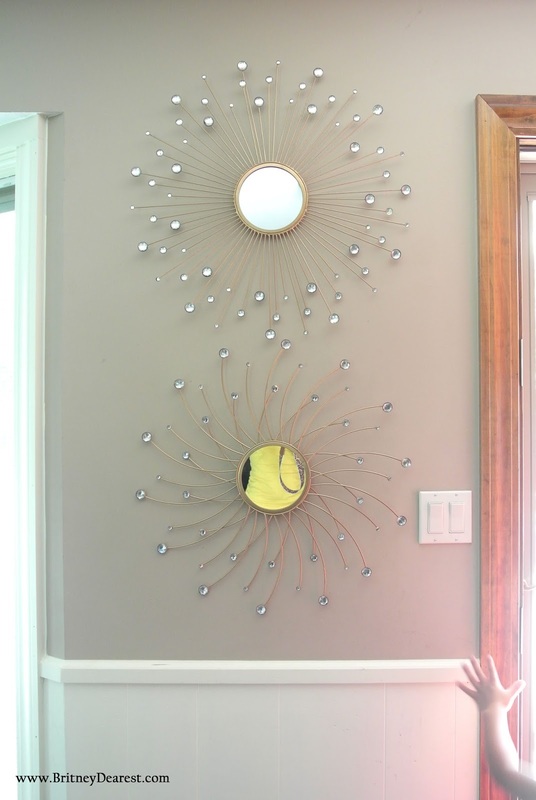 The top mirror is the same one used in a more recent DIY decor project HERE. 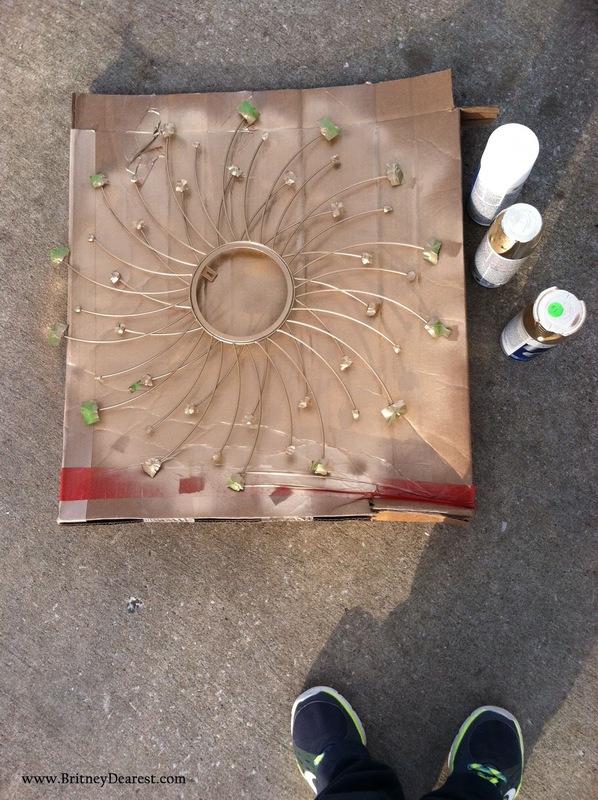 Below, the sunburst mirrors started out black as well. I purchased them at Family Dollar for $10 each a few years ago.